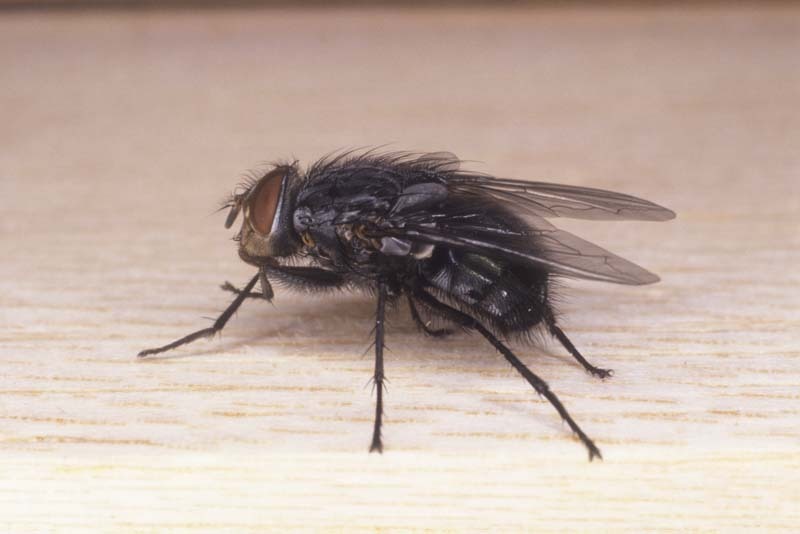 The black blow fly (Phormia regina), Calliphoridae: Diptera. 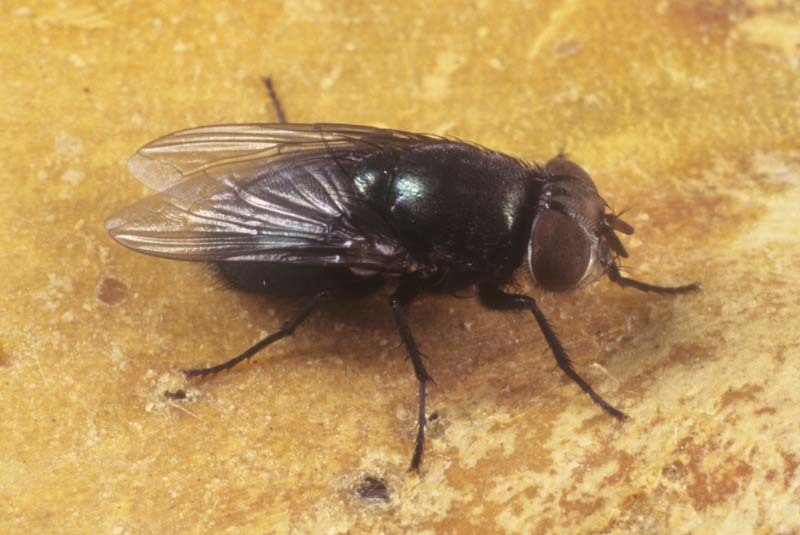 The bluebottle fly (Calliphora vicina), Calliphoridae: Diptera. 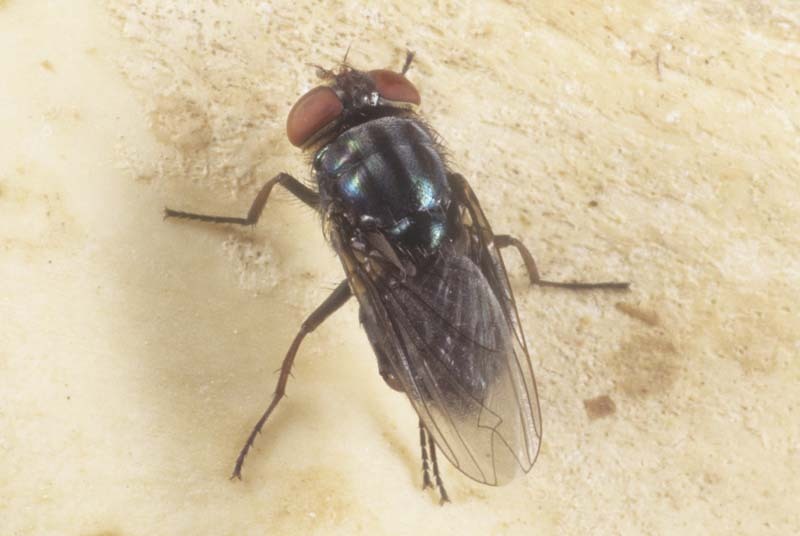 The bronzebottle fly (Phaenicia cuprina), Calliphoridae: Diptera. 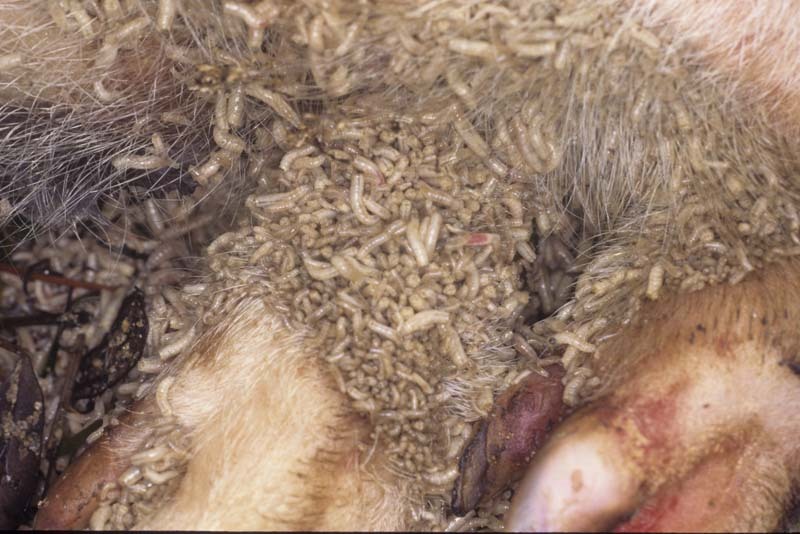 A 'maggot mass' or large group of larvae of carrion flies (Calliphoridae-Sarcophagidae-Muscidae) on animal remains. 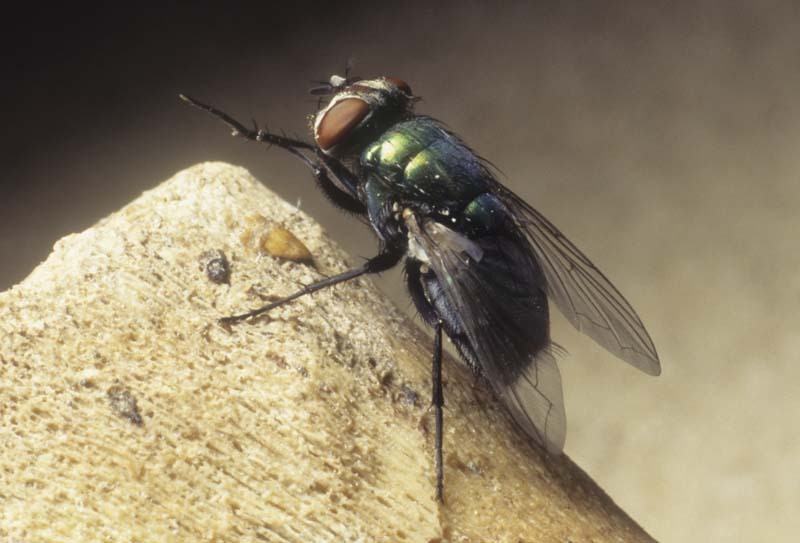 A greenbottle fly (Phaenicia coeruleiviridis), Calliphoridae: Diptera, laying eggs or ovipositing. A large cluster of eggs have accumulated. 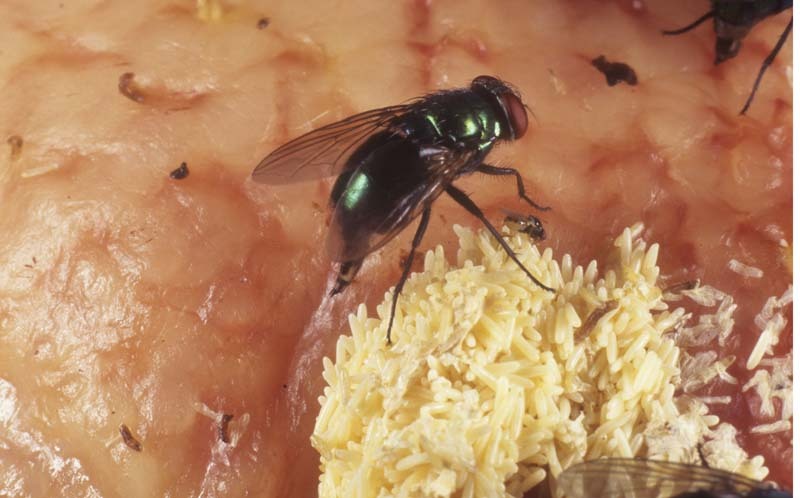 A red-tailed flesh fly (Sarcophaga bullata), Sarcophagidae: Diptera, one of the larger flies attracted to human remains. 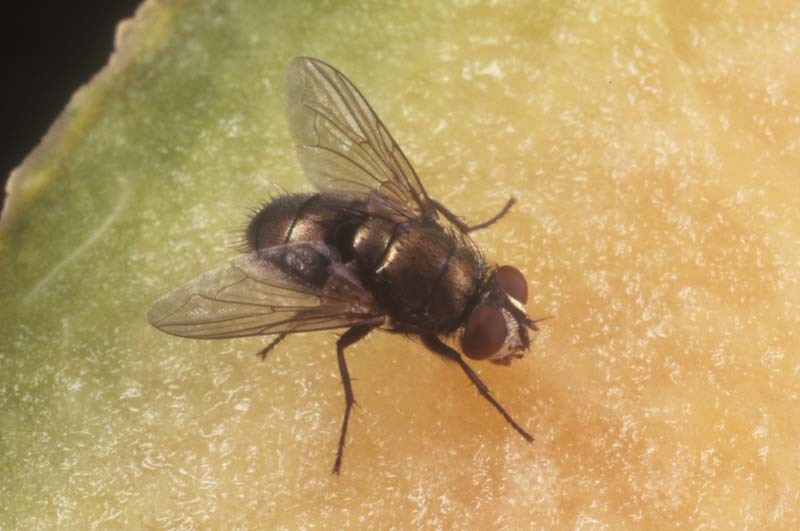 The secondary screwworm fly (Cochliomyia macellaria), Calliphoridae: Diptera, with characteristic three stripes on the dorsum. 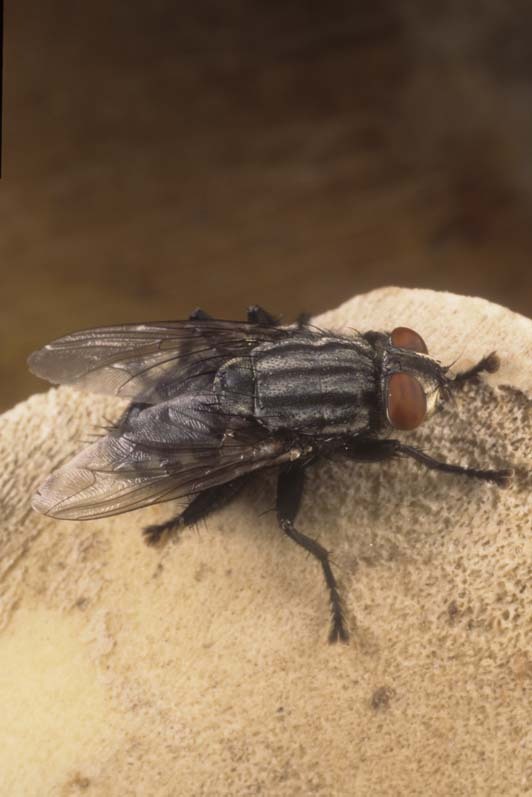 The sheep blow fly (Phaenicia sericata), Calliphoridae: Diptera. 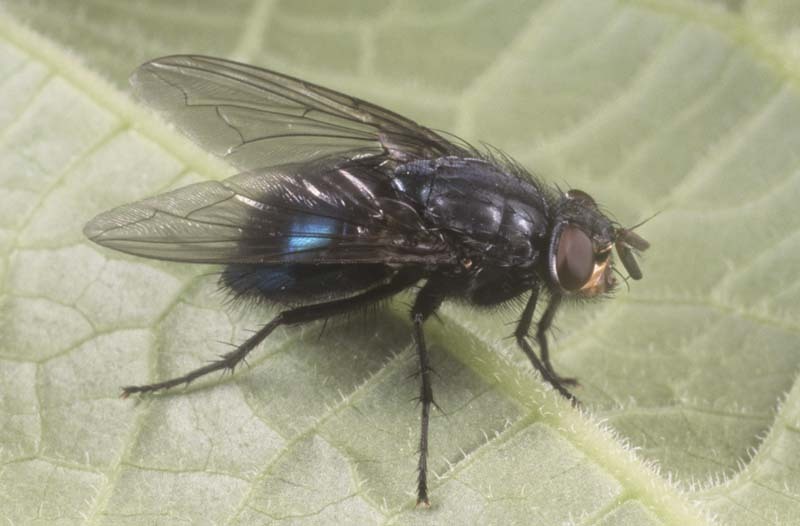 The shiny bluebottle fly (Cynomyopsis cadaverina), Calliphoridae: Diptera.